Microsoft CEO Steve Ballmer announced today that he will be stepping down from his position within the next 12 months. The change was somewhat unexpected and poses questions not only about his successor, but how the company should change and refocus moving forward. It’s also a good chance to look back at Ballmer’s time leading Microsoft. Ever since he took over from Bill Gates in 2000, the man has made us smile, laugh and shake our heads in embarrassment on numerous occasions. Sometimes within the space of five minutes. So what better time to review some of his best moments, as well as the major products that he’s launched as Microsoft CEO? On August 23, Ballmer announces that he will retire as Chief Executive Officer of Microsoft within the next 12 months. 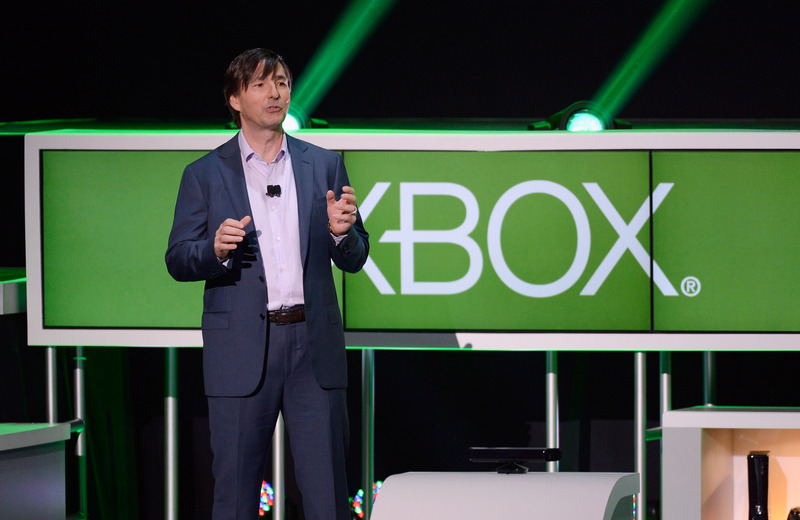 Don Mattrick, President of Microsoft’s Interactive Entertainment Business, steps down from his role to become CEO of social gaming company Zynga. Ballmer sent out a note to Microsoft employees wishing Mattrick good luck. Ballmer instigated a major shake-up of Microsoft’s internal leadership structure shortly afterward. Ballmer said in a note to employees that he was “sharpening” the firm’s strategy. “Going forward, our strategy will focus on creating a family of devices and services for individuals and businesses that empower people around the globe at home, at work and on the go, for the activities they value most,” he said in a memo to Microsoft employees. During a closed town hall event, Ballmer reportedly admitted that Microsoft built too many Surface RT tablets. This followed a $900 million hit for the product, recorded in its fiscal Q4 2013 earnings, as well as widespread international price cuts for the device. The Xbox One is unveiled. Ballmer doesn’t make an appearance and consumer reaction is mixed, to put it kindly. Fast forward to present day and Microsoft is still trying to recover from the controversy surrounding its used games, always-on Internet connection and Kinect policies. A number of reversals and a good showing at Gamescom is starting to repair its fractured relationship with gamers though. Steven Sinofsky, President of the Windows Division at Microsoft, steps down from his role in November 2012, following reports that he wasn’t being much of a ‘team player’. Ballmer then promoted Julie Larson-Green to lead all Windows software and hardware engineering. “I looked at the technical and business skills required to continue our Windows trajectory — great communication skills, a proven ability to work across product groups, strong design, deep technical expertise, and a history of anticipating and meeting customer needs — it was clear to me that Julie is the best possible person for this job,” he said. Ballmer kicks off Windows 8 with a special event in New York on October 25, announcing global availability for the following day. It was Microsoft’s big move to try to modernize its desktop operating system and embrace the emergence of touchscreen devices. “Windows 8 brings together the best of the PC and the tablet. It works perfect for work and play and it is alive with your world. Every one of our customers will find a PC that they will absolutely love,” Ballmer promised. Microsoft announces Windows Phone 8 in San Francisco on June 20. Ballmer wasn’t on hand for this particular announcement, but it’s impact on the company is difficult to ignore. The platform was Microsoft’s big move to combat iOS and Android. It needed to be pretty special to attract the support of both OEMs and consumers alike. 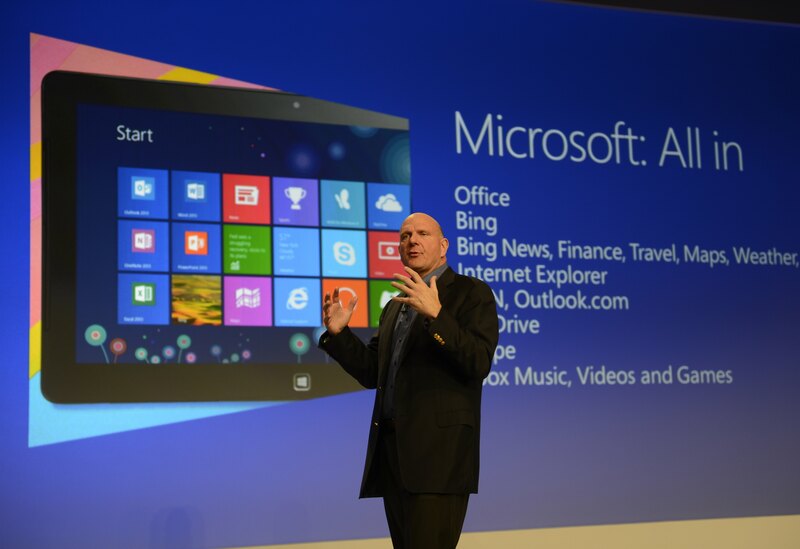 Just two days prior though, Ballmer took center stage to introduce the Surface. Many would later criticize Microsoft for taking too long to release the product – enabling Apple to establish a significant lead with the iPad – but its release was still a landmark moment for the company. 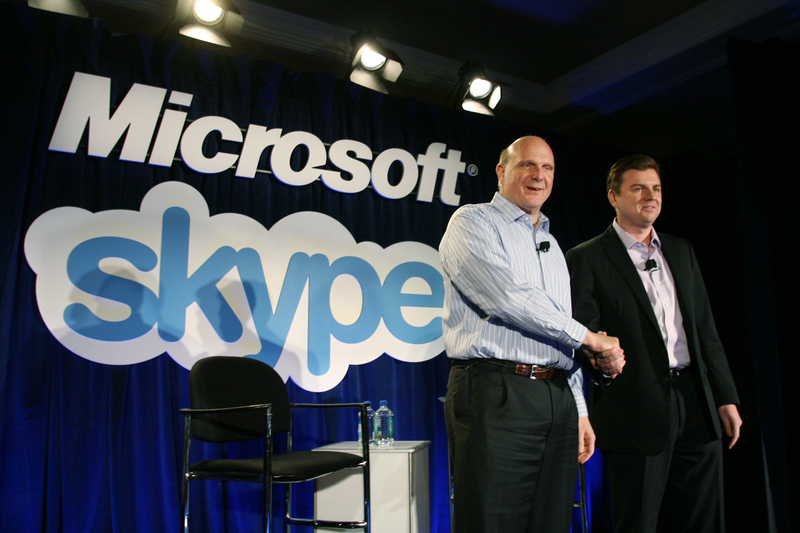 Microsoft confirms on May 10 that it has acquired cross-platform messaging service Skype for a whopping $8.5 billion. It was some serious business from Ballmer, and an indication of his ability not only to choose great products, but also foresee what would be important for Microsoft’s future growth. Skype would later become a core part of Microsoft’s products. It’s since been confirmed that it will be available as an app on the upcoming Xbox One and also pre-installed with every version of Windows 8.1. Ballmer’s keynote speech at CES 2011 covered a breadth of different products, including the recent launch of Kinect (we got to see Ballmer’s avatar! Exciting, huh?) some new figures for Xbox Live (30 million Xbox Live members) and a smattering of new games for Windows Phone 7. Ballmer also touched upon the “next version of Windows” though, reinforcing Sinofsky’s earlier announcement that it would support System on a Chip (SoC) architectures, including ARM-based systems, as well as x86 architecture. Windows Phone 7 was a huge announcement for Microsoft at Mobile World Congress. The rebranded mobile OS was completely new and introduced an aesthetic that would permeate every subsequent platform from the company. None of us knew it at the time, but this was the first glimpse of what Microsoft wanted to develop for the Xbox 360 and Xbox One, as well as Windows RT tablets including the Surface and the Windows 8 desktop environment. And of course, Ballmer was there to take it home. Almost everyone hated Windows Vista – for a number of reasons that I won’t list here – so Windows 7 was a chance for Microsoft to wipe the slate clean. Most will argue that it was a step in the right direction; it was faster, lightweight and more reliable. “Today I get to say not only that I’m Steve Ballmer and I’m a PC, but I’m Steve Ballmer, and I’m a Windows 7 PC effective immediately,” he said. Ballmer proves that he really is a PC. Just, you know, in case you were unsure before. Ballmer and the egg incident. Ballmer and venture capitalist Guy Kawasaki are happily chatting at MIX08 in Las Vegas. A member of the audience asks Ballmer to show Web developers a little bit of love. Then this happens. Windows Vista was released to the public alongside Office 2007. Bill Gates and Ballmer launched the product together, and what followed was…well, you all know what Vista was like. The less said, the better. Then Ballmer was asked about the iPhone, and this happened. Does it need any further introduction? Steve Ballmer took over as CEO of Microsoft in January 2000, but Bill Gates continued to work as the company’s Chief Software Architect. On June 15, Microsoft issued a press release announcing that Gates (also Chairman of Microsoft) would transition out of his day-to-day role after June 2008. Ballmer isn’t always associated with the Xbox 360, but the fact remains that the platform was created, launched and developed under his watch. After the original Xbox – which was a fairly successful first outing for Microsoft, but ultimately blown apart by the PlayStation 2 – this needed to be a game changer. And it was. The Xbox 360 went on to become a huge commercial hit, spanning an eight year life-cycle that would help to redefine online multiplayer, digital distribution and motion gaming. Subsequent refinements and the Kinect camera peripheral extended the system further – and it’s still selling well today. E3 2005 was when the Xbox 360 was officially announced. Ballmer wasn’t there (well, he sort of was) but that didn’t matter. From this point forward, Xbox slowly evolved into one of Microsoft’s strongest brands. Good old Windows XP. Everything was so green. So blue. It was almost nauseating at times, and that default wallpaper featuring the grassy field probably didn’t help. Anyway, this desktop operating system was arguably the first to feel truly modern, accessible and consumer-friendly. Windows Vista was a bit of a disaster, which is perhaps why Windows XP lasted as long as it did. Looking back, this was a great way for Ballmer to really make his mark as CEO of Microsoft. He wasn’t there for the launch in New York – that was left to Bill Gates and New York Mayor Rudolph Giuliani, but it didn’t really matter. It needs no introduction really. 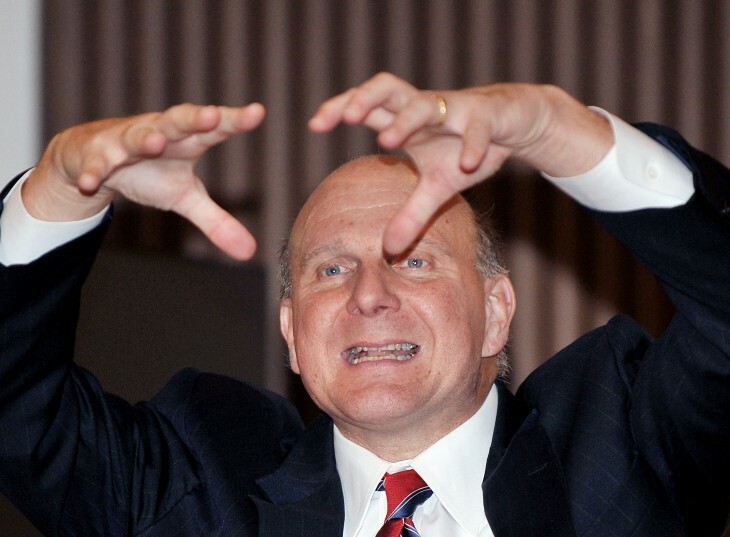 Here it is, the original and best: “Steve Ballmer Going Crazy” at Microsoft’s 25th Anniversary. Steve Ballmer takes over from Bill Gates as CEO of Microsoft.